346 pages/Seiten; 23x15x2 cm Paperback: History and musical signification of the harp/harmonica is explored here. Many important musicians from jazz, blues, rock, folk and country contribute their experiences. Geschichte und musikalische Bedeutung der Harmonica und Harp werden hier untersucht. Viele bedeutende Musiker aus Jazz, Blues, Rock, Folk und Country erzählen von ihren Erfahrungen mit diesen Instrumenten. 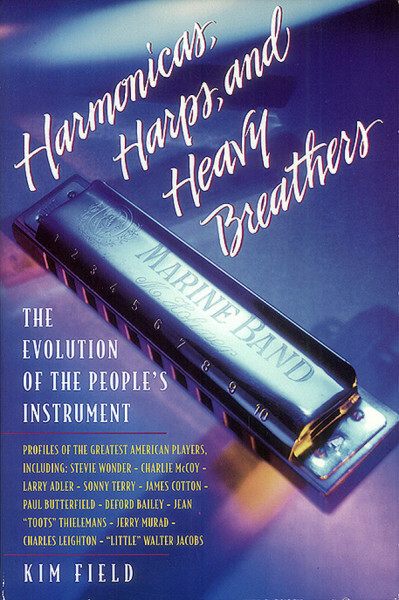 Customer evaluation for "Harmonicas,harps, Heavy Breath - Harmonicas, Harps And Heavy Breathers"